Instagram has quickly become the go to social media channel for a fast, easy and beautiful way to share your bars’ personality with the world. We take a closer look at how to use this tool and how it can be a great way to promote your venue online. In the short time Instagram has been around it has racked up over 700 million users sharing over 5 million photographs on a daily basis. 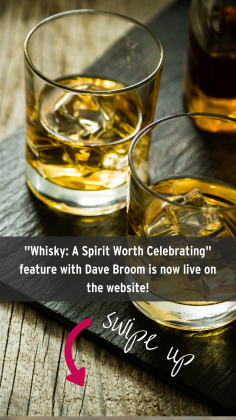 Instagram is a great tool to feed your customers and followers with beautiful visual inspiration that can help you to promote your bar and showcase your venue’s personality. The phrase,’ a picture paints a thousand words’ could not be more true in this case. All you need is a smartphone and you can begin to snap pictures and take videos of your venue, your serves, your menus and even your staff and then get sharing! Your username – Keep this simple and as close to your business name as possible, this will make it easy to customers to find and tag you on Instagram. Profile image – Make sure this represents what and who you are. Bio – Make sure your profile bio contains a link to your website. Serves – The most obvious thing you could post about is your venue’s serves – whether it is a new serve, your bar’s signature serve or a popular classic cocktail. Entice potential customers with your creations and menus using beautiful images or even a video of the serve being made. Take a look at an example here. Introduce your staff – A great way to give your Instagram a personal feel is to introduce your staff using a simple image or video of them doing something they love, such as creating their favourite serve. The World’s Best Bar, the Dead Rabbit, uses this idea to great effect. Events – Let your customers know about the exciting events that are going on at your bar such as themes nights, tastings, pop-up bars etc. You could share behind the scenes images on your profile and/or Instagram stories ahead of the event as well as live video during the event. Composition –Think of the layout and what you want to focus on. Remember the background and ensure it isn’t too busy. Use the grid on your phone – This helps ensure your photo is straight and makes sure the focal point is centred. Lighting – Make sure you always have enough light, which can be tricky in bars! You could even go in early ahead of your shift and get that shot of your cocktail before it gets dark. When taking pictures at night make sure you have enough light to illuminate the serve or object you are trying to show. Movement – To freeze a moment in sharp detail,make sure you are in a well-lit place or in natural daylight to allow appropriate shutter speed. To create a focus tap on the object and use burst mode to help you choose the perfect moment to use. Filters – Bring your photographs to life by playing around with brightness and saturation. Copy - Do not be afraid to have fun and show the personality of your bar but make sure the caption complements the image. If appropriate tag other Instagram users. Location - Always tag your location in every post as it encourages foot fall to your outlet and drives more likes. 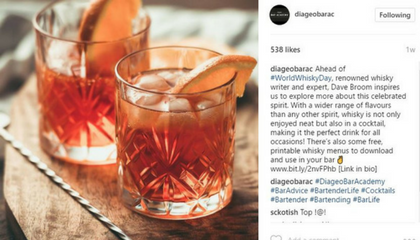 Hashtags – Use relevant hashtags can help potential new customers find your posts for example #cocktails, #bartender and you could also use any local hashtags relevant to your area to show #yourbarslocation. Video – These can really showcase the personality of your venue. Similar to taking a photo it is important to think about the light, composition of your shot and plan what you want to film. Short videos tend to work better and the maximum length of video you can post is 60 seconds. Instagram stories – As well as uploading videos to your profile you can add images and short videos (15 seconds) to your ‘story’. These posts will not appear on your profile and will disappear after 24 hours. Behind the scenes content works really well for Instagram stories and is a great way to showcase a personal side to your venue. Instagram live – There is now the ability to go live on Instagram and do a live video from wherever you are. This can be a really effective and engaging way to interact with your audience and as with posting any video it is best to plan what you are going to do and keep in mind the lighting and shot composition. 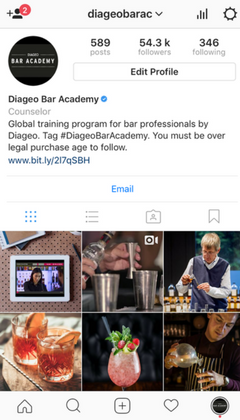 Influencers -Make the most of influencers on Instagram – be that a top bartender or a local influencer in your area. Follow them and engage with them, you never know they might pop in to your venue, order a cocktail and post about it on Instagram! Loyalty - Reward your customers. For example you could do a photo competition on Instagram where in order to enter they need to tag your bar in the photo. Competitions like this are great way of driving awareness of your bar and engaging your customers. Ads - Lastly, if you want to go the extra mile you can promote your posts through Instagram ads and increase the amount of people that will see them. If your aim is to generate foot fall then ensure you are targeting people in your area. Showcase your venues best side online and ensure it stand out for the right reasons! Read our social media tips now. 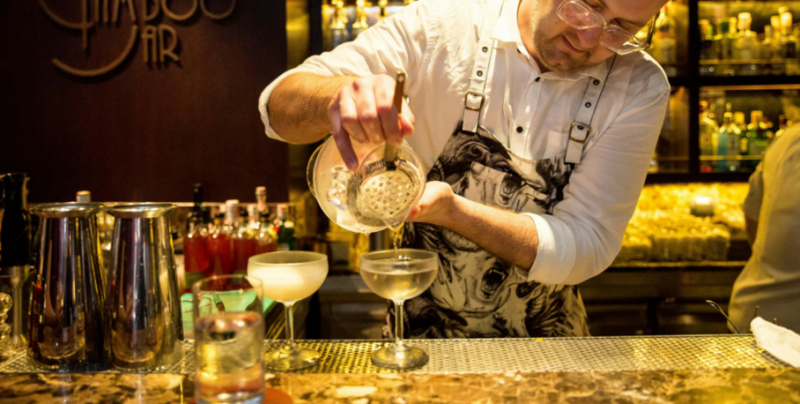 Alex is one of the most influential bartenders in the industry. Read his story and find out how important education was in his career. 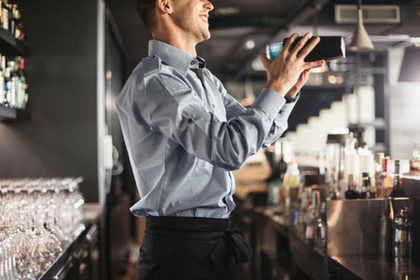 Paul Martin, renowned speaker and bar staff trainer, shares his expert advice to help you achieve upselling success. From review sites to online maps, drive local customers to your venue with our guide to location-based online marketing.